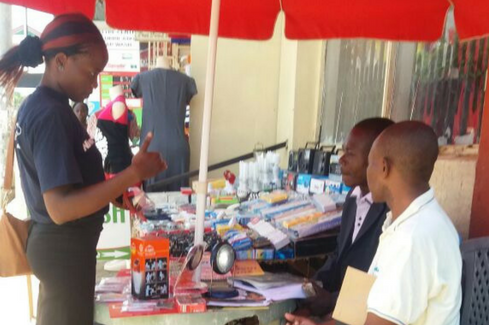 Several businesses that have recently listed on the platform such as SunTransfer and Sollatek provide great examples of how the entrepreneurial spirit has helped to create thriving solar businesses in Kenya. Take SunTransfer for example: its CEO and founder Kirubi Gathu is a self-made solar energy entrepreneur, who over the past 15 years has been creating and implementing off-grid solar solutions in rural Kenya. In 2009 Kirubi founded SunTransfer, a company which has worked as a pioneer in the Kenyan solar market, establishing a network of solar centres to provide rural families with the technical support and affordable credit needed to be able to access solar energy. In contrast Solltek Kenya has sold more than 650,000 lanterns and home solar systems over the last 7 years providing around 3.8 million people with access to clean energy. Sollatek’s growth and success can be attributed to their ongoing commitment to training and recruiting local entrepreneurs from areas with high unemployment rates and low levels of education. At the end of their recent programme 60 solar entrepreneurs were trained (50% of whom were women) who went on to join the company as sales agents or direct employees.